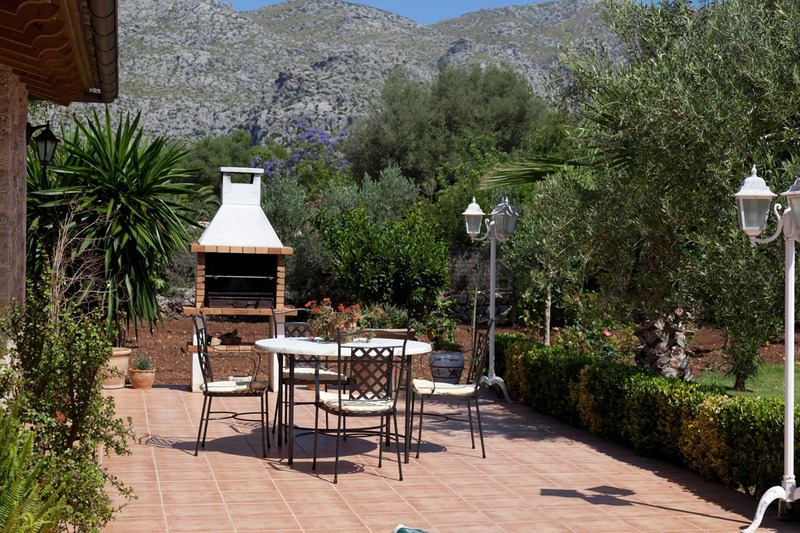 Villa Estades Petit is a smart and comfortable family villa located in lovely countryside set back off the road to the resort of Cala San Vicente in a quiet country lane just five minutes drive from Pollensa and Puerto Pollensa. 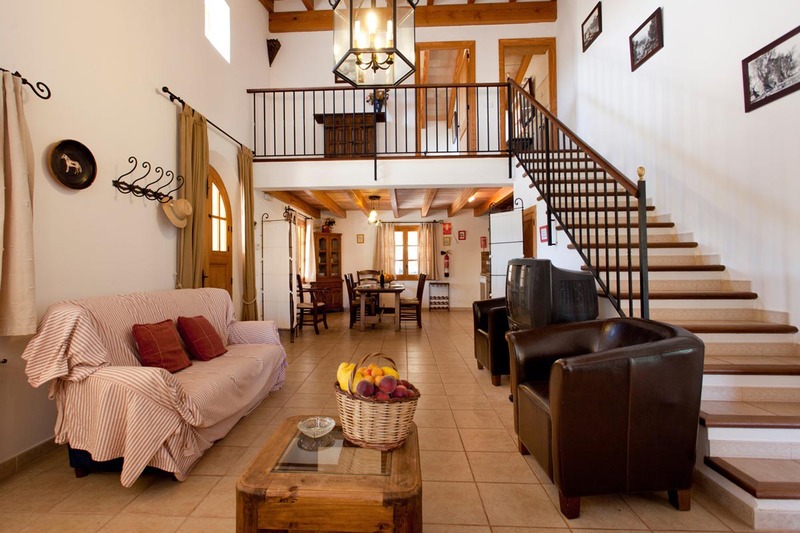 The villa is on two levels and is light and airy inside with spacious rooms which are cool and bright with whitewashed walls, open beams and pale wood neutral furniture. 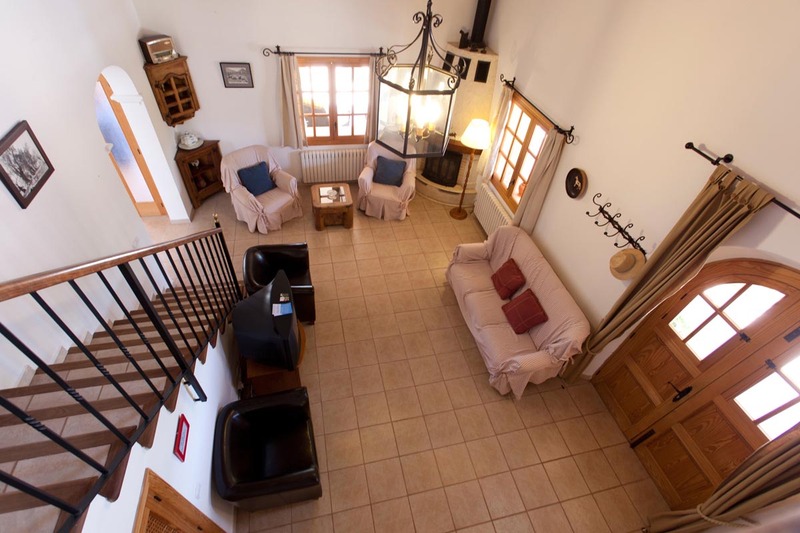 Through the entrance hall is a comfortable lounge with two sofas, satellite TV and a DVD player. 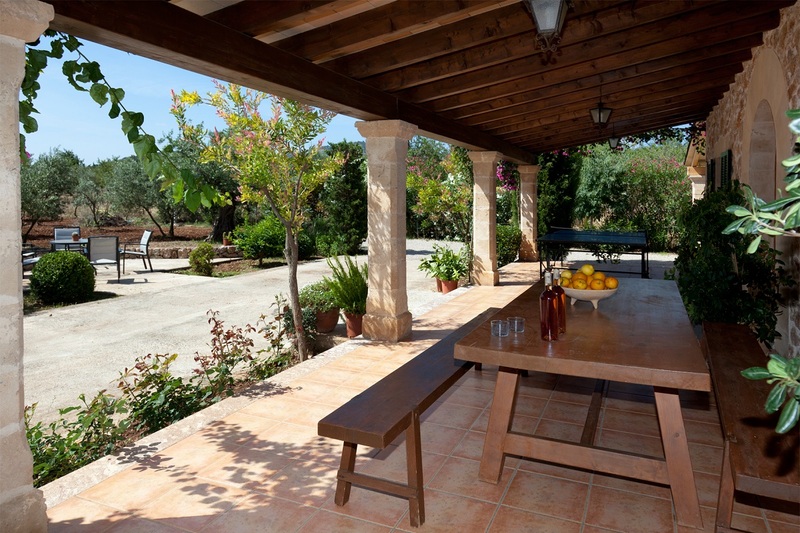 An archway leads to an additional lounge with sofas and double glass doors which provide access onto a sun terrace with views to the swimming pool and gardens. 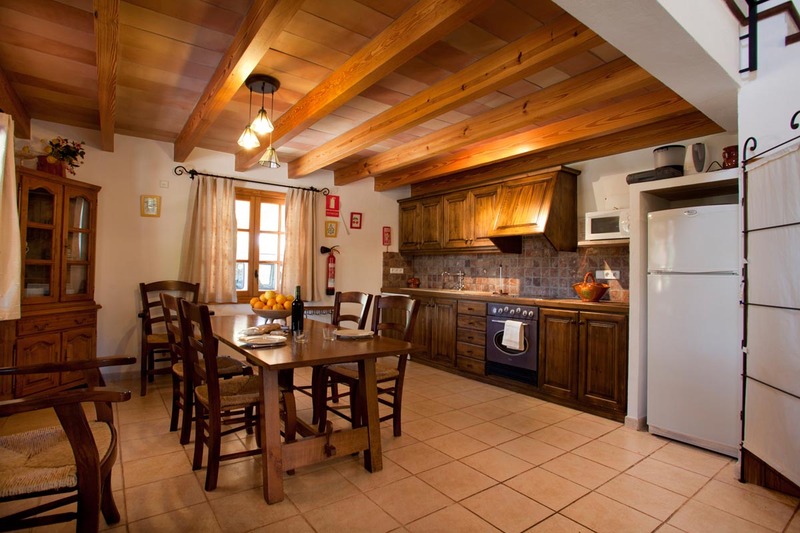 The fully equipped kitchen is a very spacious room with lots of storage and workspace plus a table with chairs. 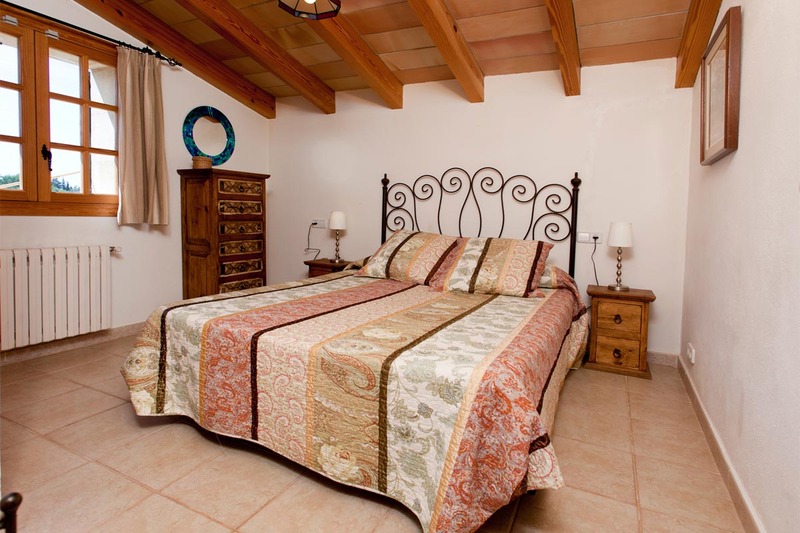 There are three bedrooms, a double bedroom and two twin rooms. All the bedrooms are comfortable and have fitted wardrobes. 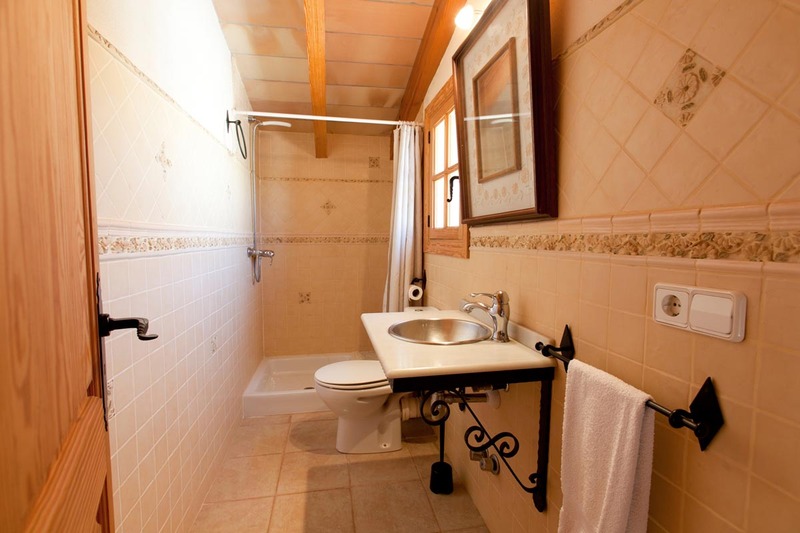 One double bedroom and one bathroom with shower is located on the first floor. 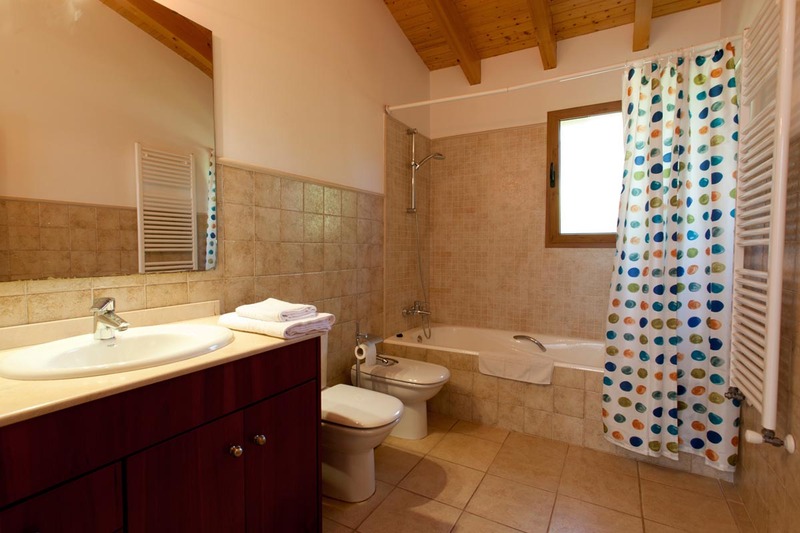 The two twin bedrooms are located on the ground floor one of which has an en suite shower room plus a further full bathroom. 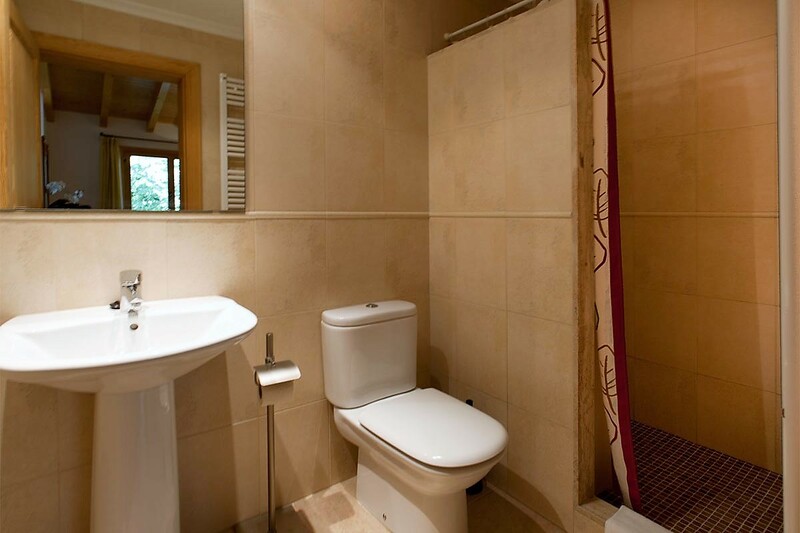 The bathrooms are beautifully finished with new fittings in white and pale colours. 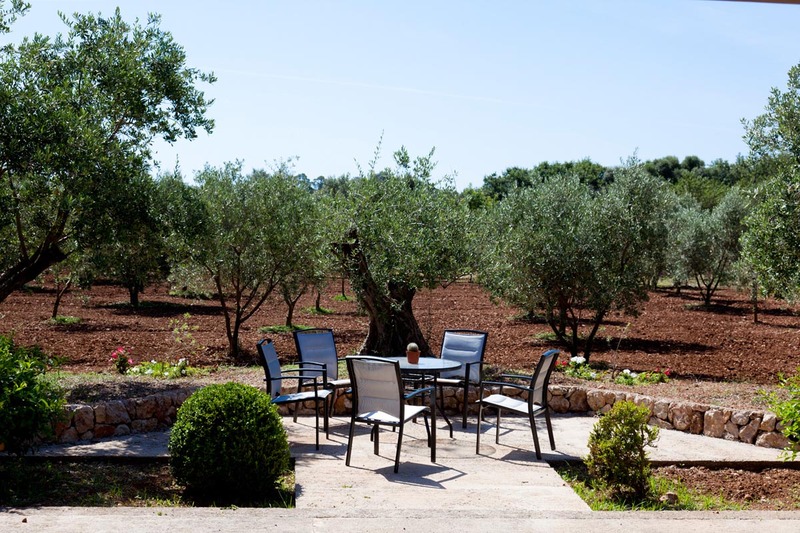 There are lots of well-designed outside spaces and a roman style swimming pool surrounded by lawn and sun terraces with sun loungers and a shaded front terrace with comfortable chairs plus built in barbecue. 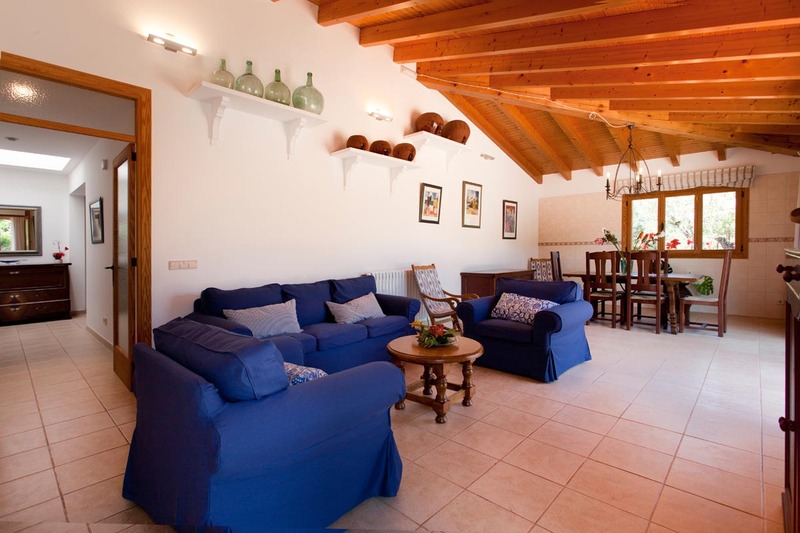 This is a really welcoming and stylish villa with lots of relaxing spaces and ideal for a holiday with family or friends. Distance to beach: 3.5 Km (approx). Distance to town: 3.5 Km (approx).